I read a story today that really touched my heart . . . in fact I found tears rolling down my cheeks as imagined a grandfather experiencing what was probably the darkest day of his life . . . and then the light of love penetrated it to bring him some relief. Reading this story reminded me of the darkness there is no our world today. Many people are confronting despair, evil and hopelessness every day. But you and I have the light of Christ living in us . . . and we’re not to keep that light under the bushel basket, but instead let it shine so others can see! The pilot that extended his compassion for this grandfather didn’t know him. And he even was willing to risk some pretty severe consequences by acting in love instead of following policy. But it was the right thing to do . . . and he allowed love to reign in his heart and bring a ray of light to a very dark circumstance. Let’s love someone today who doesn’t expect it. Not because of anything they’ve done but because of what Christ has done in us. Let’s make love our aim today . . . and tomorrow . . . and the next day . . . and so often that it becomes our way of life. God is love and oh He is so needed in our world today. He’s put His love inside of us. Let’s love on purpose! To be the light of Christ in this world so that others can see and want the Source of that light in their own lives. ← The Daniel Fast – is it Really Hard on the Budget? I would encourage you to first of all get a copy of the Daniel Fast Guidelines and look them over. If this is a match as to how you already eat on a daily basis. Then I agree that there would be no discipline required (the point of a fast) of you to complete the Daniel Fast. You then might want to consider a Full Fast (Water Only). 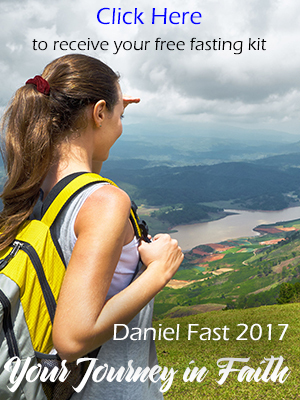 You can go to http://www.daniel-fast.com and enter your email address to receive a copy of the Daniel Fast Guidelines. I hope this helps. Be Blessed on your journey! I just had a question in regards to the Daniel fast. In Daniel 10: 2 & 3 (NIV), it states that Daniel refrained from choice foods. The Daniel fast covers vegetables, fruit, and water. Here’s where I come to a sort of dilemma. I love vegetables and fruit already, so I don’t know if that would conflict with the definition of ‘choice’ foods. In other words, it may or may not be as much as a sacrifice that I would want it to be. Or am I just looking at this the wrong way? Thank you. It sounds as if your are giving your power over to food! I can say that since I discovered that about myself a while back (before I started this year’s fast). I had a constant weakness of potato chips. Then I realized one day that the potato chips only have the power that I give them. They have not power . . . it’s all my power released to them so that then I become a victim at my own hand. This was a real aha moment for me . . . and I don’t have the problem at all any more. I encourage you to complete the exercise I include in The Daniel Fast book about the Spirit, Soul and Body. It’s a powerful exercise that brings amazing clarity to many people. I’ve had such a problem giving into temptation during my fast and I’m so sick of myself…God delivers me and I still give in…what is wrong with me? I know that I myself had my eyes open since being on this daniel fast. I see around me daily how evil people can be without have the holy spirit in there daily lives. It has really helped me to learn how much God loves me and excepts me also how much he has forgiven me. I am to be like him. So I inreturn love and forgive. Who am I to cast judgement. This is an amazing story. I am so blessed to hear that there are people out there who still care.